Student groups, hen, stag & wedding parties, family reunions, corporate retreats, cruise ship passengers, or a friends’ weekend getaway, let AKT design your perfect day of fun in the sun for your group of 6 to 30. Free of Dubrovnik’s crowds and congestion, Zaton Bay and the Elafiti Islands are perfect venues for outdoor group outings. Ferry to Lopud Island to hike the island's network of shady trails to a hiltop fortress, 11th century church, and sandy Sunj beach. Our unique Meetings Incentives Conventions Events (MICE) program utilizes Dubrovnikʼs assets as a tourist destination along with Adriatic Kayak Toursʼ core strengths as an outdoor adventure tour operator. 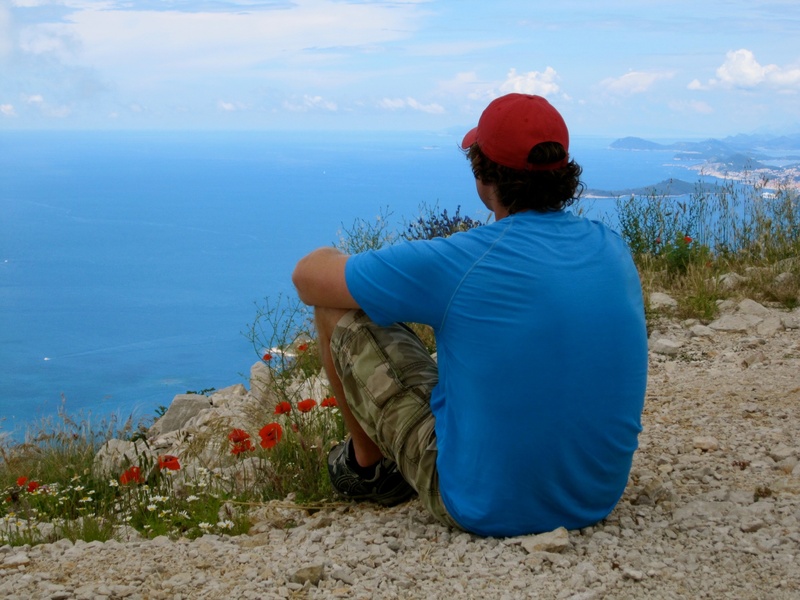 Dubrovnikʼs mild Mediterranean climate allows for year-round outdoor activity. Crystaline seas, Dalmatiaʼs stunning coastline and islands, and Croatian history and culture are a perfect venue for MICE programs. The city of Dubrovnikʼs developed tourism infrastructure offers convenient and high quality accommodation, dining and transport. AKT provides expertise in qualiﬁed outdoor adventure guides, local knowledge, and American management. Do You Dare (cliff diving)? A menu of add-on features, for example, lunch or event T-shirts provide additional customization. We work with you to create a MICE program for your group of 6 - 30 people. Please use the form at right to tell us more about your needs, and we will return your inquiry within 48 hours. Paddling 6 to 8 person rafts allows larger groups to enjoy the sea and day’s activities with minimal instructional time and breaks groups into natural teams. Inclusions: Rafts, paddles, life jackets, water shoes, dry bags for personal items, AKT guide(s), snorkel &amp; mask, small group Zaton Bay transport, bikes, and ferry tickets.